When Italian food in the NWA area comes up, most people, from locals to out-of-towners, mention Bordinos, Theo’s, Joe’s Italian Grill, Pesto Cafe, or Venesian Inn (shout out to Tontitown). Well, one restaurant that definitely should be included on the list is Bocca Italian Eatery & Pizzeria. Located on North College Avenue, this hidden gem is perfect for either a get together with friends or a romantic date night spot for a patio candlelight dinner. I’ve been on several occasions and Bocca never disappoints. 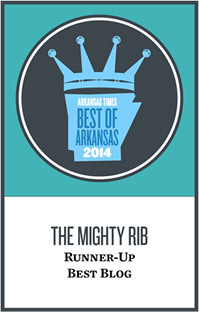 The service is consistent, which is sometimes difficult to find in Fayetteville. I’ve tried multiple dishes on multiple occasions and the food is satisfactory each and every time. As for atmosphere, the place is well lit but just dim enough to give off a romantic yet upbeat vibe. Bocca has a nice bar where you can grab drinks with a friend, have dinner, or wait before being seated, and the Frank Sinatra’s “New York, New York” playing in the background only helps set the mood. To start the meal, expect warm, freshly baked bread, as was the case when my tablemate and I sat down for a recent dinner. Now, I am not a fan of how some restaurants try to go to over the top with their bread selection, but Bocca brings out a homemade loaf of white bread with butter and roasted garlic (the best part). We both scanned over the menu, but what caught my attention was the pasta special, a 16 oz. Rib-Eye (other nights it’s a 10 oz. 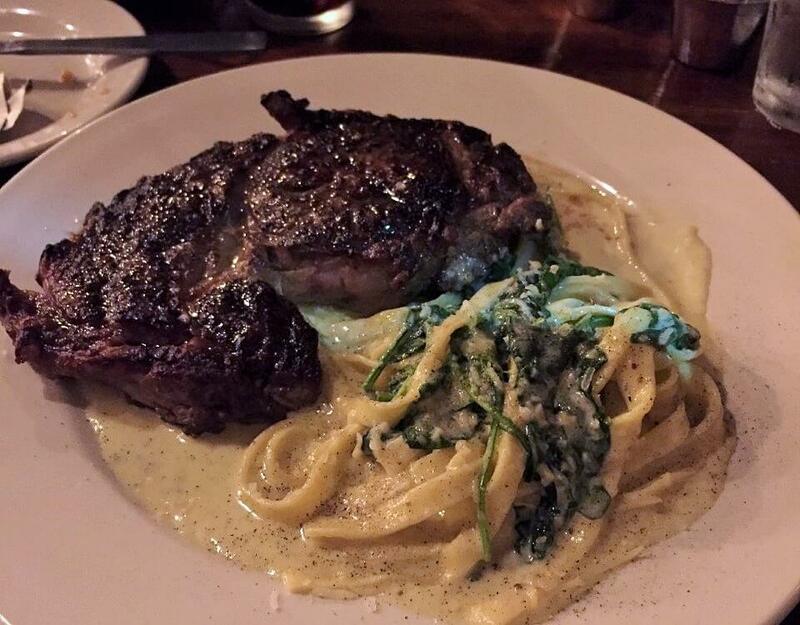 filet mignon) with fettuccine, topped with a Gorgonzola cream sauce. My friend ordered the House-Made Pappardella, which I can tell you is utterly fantastic from past experiences. This comes with sheets of pappardella in a ragu of braised beef and pork shoulder and sprinkled with freshly grated Parmesan. Salads are included with pasta entrees, and you’d be making a mistake not to order the Caesar, which is one of the absolute best in town. My rib-eye was a perfect medium rare. The steak’s juices mixed with gorgonzola alfredo sauce, making for a wonderful and sastifying combination. Bocca serves one of the top steaks in Fayetteville. 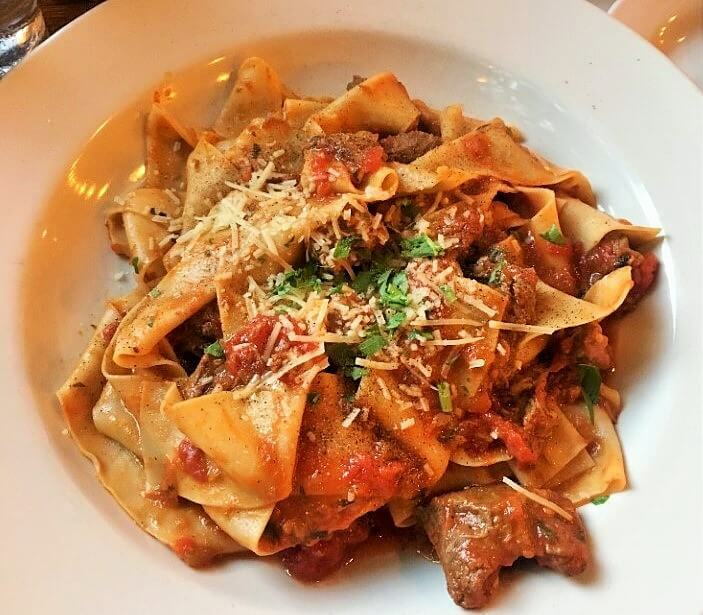 Also, thumbs up to my friend’s pappardella, which was highlighted by tender noodles, fall-off-the-bone braised beef, and a red sauce that the accompanying bread cleaned up nicely. If you’re in Fayetteville or just passing through, I definitely recommend checking out Bocca Italian Eatery & Pizzeria.